Since this is the very first post, I believe it would proper to start by introducing myself. My name is Ricardo Arturo Cabral and I'm an electronics engineer and a software developer. I was born in June of 1988; lived for the most part of my life in Santo Domingo, Dominican Republic and about two years in Miami, Florida. Ever since I was a little kid I've always enjoyed building things, to understand how things really worked from the inside out. This motivation led me to gain a deep interest in programming and electronics. 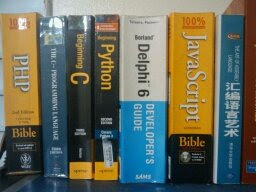 Being an autodidact, I taught myself programming, and developed my skills through practice (Oh, those sleepless nights). Did I mention that I really enjoy programming as much as playing a game? I graduated from the "Instituto Tecnológico de Santo Domingo INTEC" at the age of 21 in Electronics Engineering and Communications. I'm currently working full-time for WIND Telecom (a telecommunications company based in Dominican Republic).